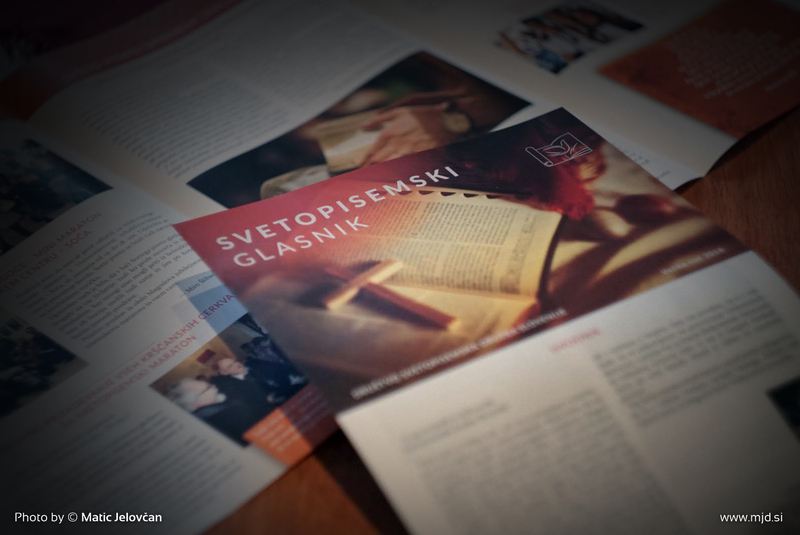 I often forget to post the current designs, I’ve worked on in the Bible Society of Slovenia, partly because it sometimes takes time for me to get my hands on the printed material, which is always the most exciting part. This time was similar with the “Svetopisemski glasnik” (which I guess could be translated into something like “The Bible Society Herald”). Since it was easter this week, it seems fitting for me to post it here as well. But first let me share a few things that were memorable in as I was working on it. 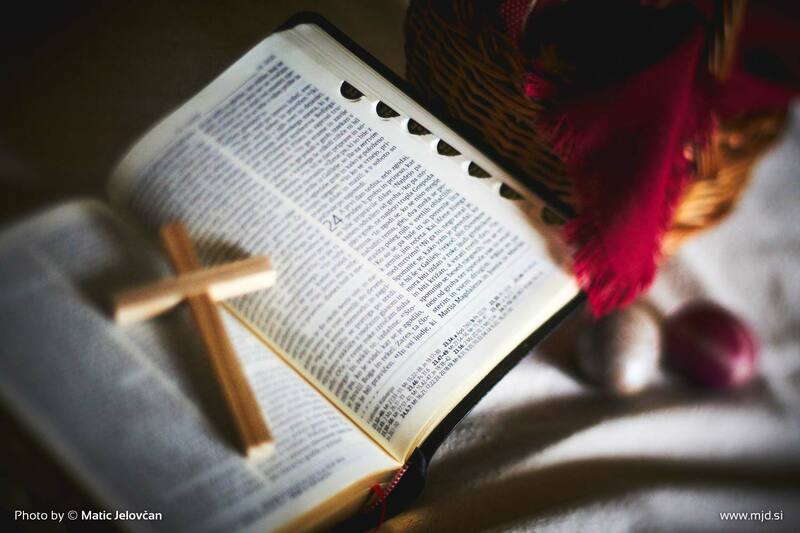 It was fun making this edition’s cover photo, since I had a bit more freedom in doing what I liked, as long as it was bible-related. So I went and staged (if that can be said about this kind of photography) a scene with a basket in the background and two easter eggs by its side. I opened the Bible in Luke 24, which was conveniently on the correct side, and talks about Jesus’ resurrection and placed it by the basket. It seemed a bit dull on the a plain wooden dining table, so I did the same with a heavily-woven cloth I had around for a different project, and to add dynamics to it I wrinkled it into some shapes so that the shades would add a bit of visual interest. The Bible just opened like that was now in the forefront, but that was a bit too much… So I picked up a tiny cross I made a few months ago while testing my new veritas saws, by the way the cross is made of two pieces of wood tightly fitted with only a cross-halving joint and no glue whatsoever. The photo was taken with my trusted Sony A6000 and a Nikkor 50mm f1.8 on a tilt shift adapter, wide open of course. The scene was lit with a soft light coming from a window (it was foggy outside that day).